Eagle Garage Door offers the best range of knowledge and parts availability for specialty garage door needs in the Cambridge area. We ensure that our technicians are trained and experienced in a variety of custom installation techniques just for this purpose. 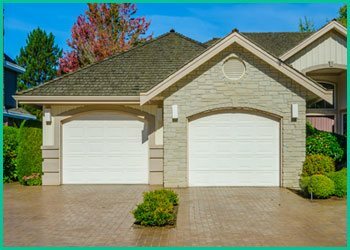 Got an idea for a unique garage door setup at your home or business? Give us a call and we'll set you up with a free initial consultation, during which we can go through some ideas that will suit your needs. When you've settled on a design, we can provide you with an estimate of costs, and can have your custom door manufactured to your precise specifications if our current stock on hand doesn't have anything to suit your needs. The most basic function of an insulated door is to help with temperature control, especially during the seasons of more extreme weather. A good insulated door allows you to convert your home garage to a place to hang out, office space or a hobby room among many other possibilities. And an insulated door at work helps warehouses to be maintained at a consistent temperature. 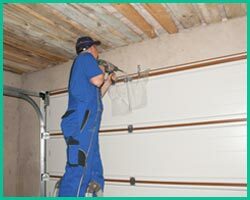 Eagle Garage Door is capable of both installing new insulated doors and adding insulation to existing doors in any business or residential settings. Installing a fire door in a garage may be required by local building codes depending upon your situation. Even if it isn't, however, it's still always a prudent idea, and one that could end up saving lives. The general minimum resistance that a fire door should provide is 20 minutes of time in case a major blaze breaks out in the garage. It is possible to get models that offer much more resistance than this, however. 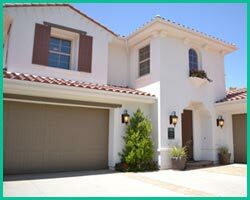 Garages are one of the areas of the home that are most susceptible to sudden fires. Just stop and think for a second about all the combustible chemicals and substances that are stored there on a regular basis! An errant spark, too much heat or even spontaneous combustion can start a fire in the garage that moves on to destroy the entire property. A fire door cannot completely stop a blaze that has gone out of control, but it can buy a great deal of crucial time for the fire department to arrive and get on top of the fire, as well as buying extra time for occupants to become aware of the hazard and get out to safety. If your home or business garage stores chemicals that increase the risk of fire, a fire door is a relatively cheap form of insurance. Speaking of insurance, the installation of a good fire door can also lower insurance rates and premiums under the right circumstances! If the garage door at your place of business sees frequent traffic, it may be worth looking into investing in a high speed door. These doors open and close much more rapidly than standard garage doors, and are reinforced to handle the added strain of extra operation. A wide range of different speeds are available, as well as quiet units that won't continually produce disturbing noise when they open and close.